Mildenhall Stadium are disappointed to announce that the UK Modifieds will not be in attendance at our event on Sunday 21st October 2018. 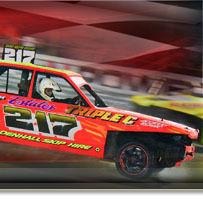 The UK Modifieds were originally scheduled to appear at Mildenhall Stadium on Sunday 14th October to contest their British Championship title. Due to the unfortunate turn with the weather the decision was taken not to hold the championship on that day but an agreement was made with the formula at that time to re-schedule the event for Sunday 21st October. Since the decision was taken and the re-scheduling of the event has been advertised the UK Modified officials have contacted us with the request to cancel the event on Sunday 21st October after feedback from the drivers that an amount of them will not be able to attend as this date was originally a free date for them so had made alternative personal arrangements so would not be racing. Whilst the decision to cancel a formula or event is never an easy one to make it is also understandable that ‘running for the sake of running’ can produce it’s own complications so the decision has been made to cancel UK Modifieds as previously stated above. The event will still start at 2.30pm and feature the Gold Rush Finale for the Bangers, both National Points Series Round 8 & Whites/Yellows Championship for the BriSCA F2 Stock Cars plus the Caravan Destruction Derby will remain as an addition to the original fixture. Round all this off with a spectacular fireworks display means this event is still one for the diary and not to be missed! We look forward to seeing everyone at Mildenhall Stadium on Sunday.